Borgo Panigale, Bologna (Italy), 5 July 2016 - The success of World Ducati Week 2016, with 81,000 in attendance and the vast echo it generated throughout the world, was a very special birthday "gift" for Ducati. And just a few hours after returning home from Misano, the Ducati community is ready to experience another important moment in celebration of the historical event: 4 July is the exact day when the company was founded 90 years ago (1926/2016). 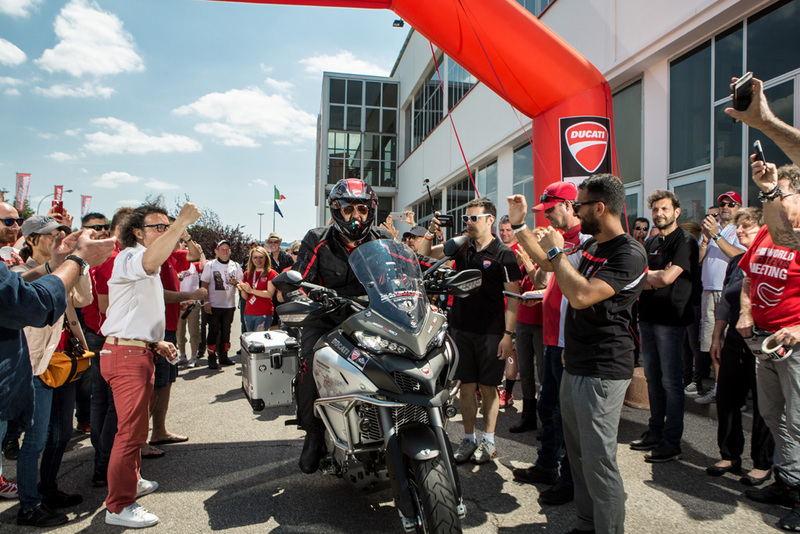 Wearing red t-shirts dedicated to the company's 90 years, all Ducati employees celebrated with the symbolic cutting of a cake, to then send-off the first "Globetrotter 90" torch-bearer. 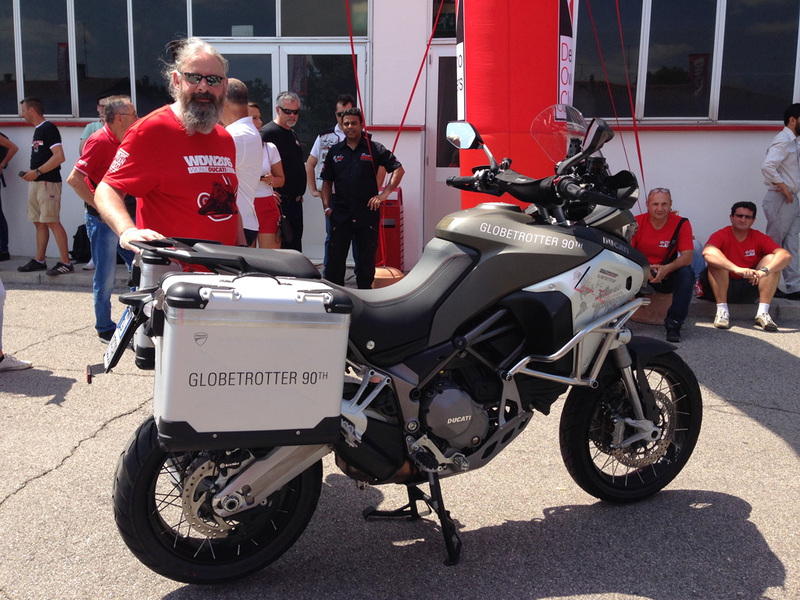 The Globetrotter 90 is a trip around the world for seven motorcyclists who were selected from over 3,000 applications. 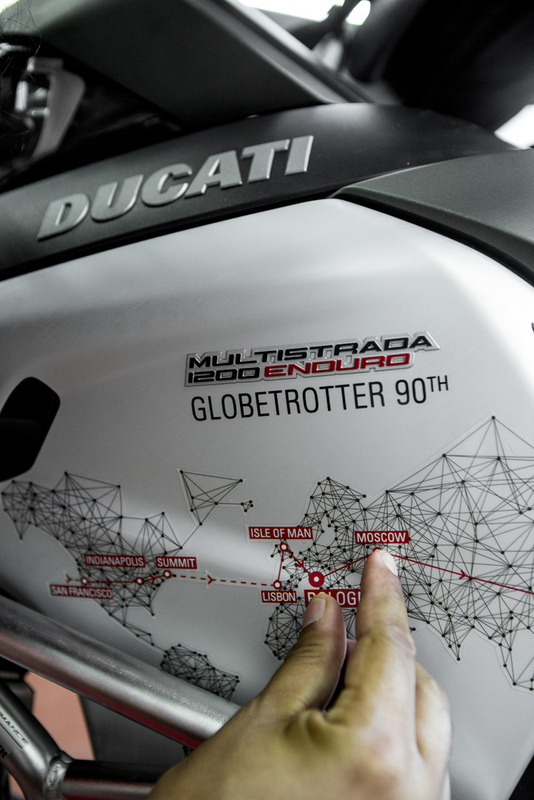 They are ready to take turns riding the Multistrada 1200 Enduro to traverse the 30,000 kilometres of this great journey that will retrace the streets and places where the most important pages of the first ninety years of Ducati history have been written. 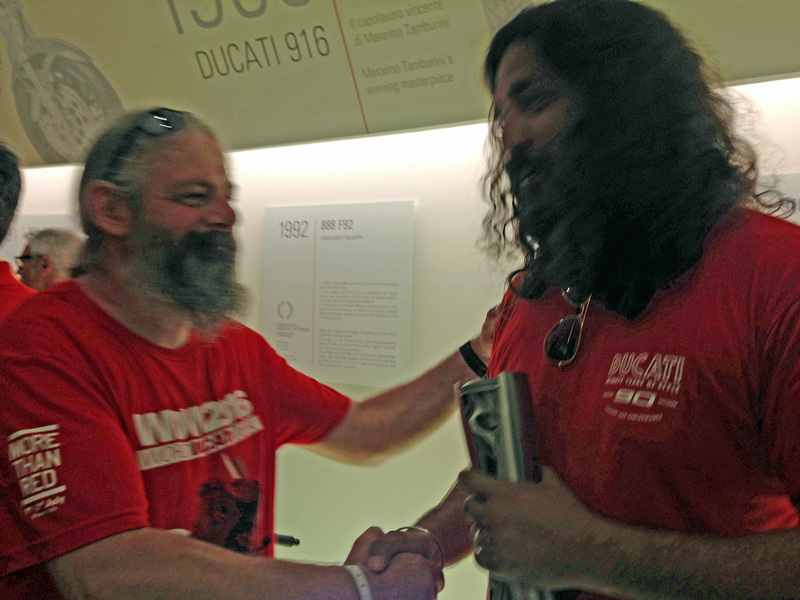 The first Globetrotter is Vir Nakai, a 37 year old from India who is a highly experienced rider and traveller; he was passed the torch directly by CEO Claudio Domenicali, to then set off from via Cavalieri Ducati in the direction of Moscow, where on 29 July he will pass the baton to the second of the seven travellers. The torch is also meant to be the symbol of Ducati passion, ready to cross the five continents and bring a positive and enthusiastic message. To send-off the first rider/torch-bearer in Borgo Panigale, an impressive 160 representatives from DOCs - Desmo Owners Clubs - participated, coming from 40 nations. Obviously the DOCs arrived on their bikes directly from Misano Adriatico (RN) as "veterans" of the great WDW2016 Ducati gathering, which was held from 1 to 3 July. 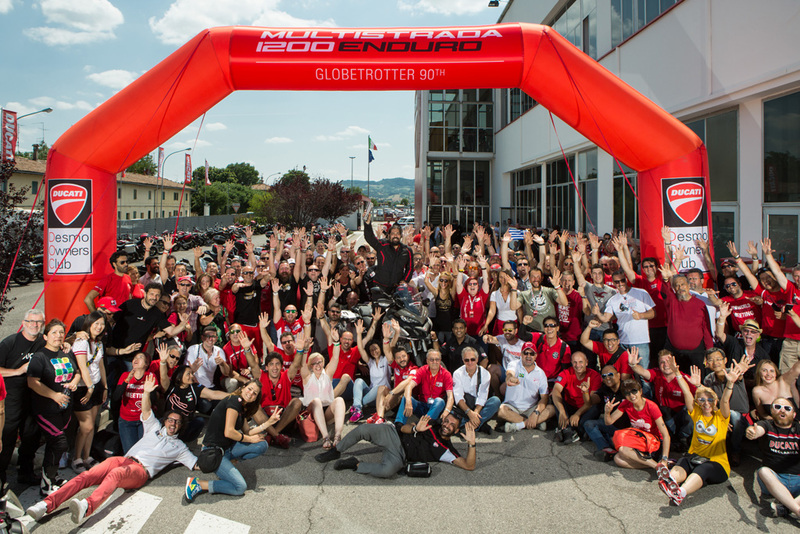 The departure of the Globetrotter 90 is a strongly symbolic moment for the company, as on this 4 July 2016, all the employees at Borgo Panigale, the many DOCs that are the core community of Ducati and the departure of the Indian Globetrotter all represent the strength to identify the past, present and future of this motorcycle manufacturer that is increasingly projected toward significant goals.